At just 18, budding fashion designer Thomas Puttick packed his suitcase and headed for London. The gifted student soon found himself working for Alexander McQueen under the watchful eye of creative director Sarah Burton. It is here, Puttick tells Robb Report, that he was able to master his craft. Fast-forward a few years and Puttick presented what was, in Robb Report's opinion, the stand-out show at this year's Mercedes Benz Fashion Week. 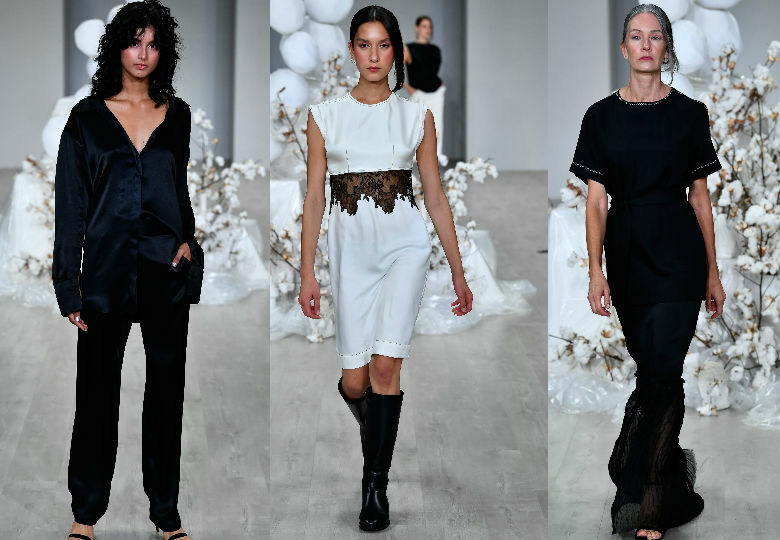 Puttick's dedication to detail and unreserved appreciation for the female form well and truly shone at the exhibit, which featured classically tailored silk-blend suits, and slips with intricate French detailing. "For me this collection was all about discovering a woman," Puttick told Robb Report. "It was about having her lead me to each piece. It was about exploring all the things that she loves; like the flowers she keeps, right down to the books she reads and the art she likes." Puttick is, of course, talking about a metaphorical muse. One he says he only really felt he "truly found" while designing his latest collection. Tailored silk blends feature heavily in the collection and Puttick said he left no stone unturned when it came to sourcing his materials. "Our silk this season was a silk, cashmere and cotton blend which gave the fabric a lovely sheen," Puttick said. "For us this season was about really taking the fabrics to the most luxurious place they could be taken to. I worked at the same mills as Celine and Burberry so I was able to get that real luxurious quality in the fabric," he said. As extraordinary as Puttick's collection was his designs are not the only remarkable attribute born out of his eponymous label. It is, rather, the label's ethos and dedication to showcasing 'remarkable women' that has seen Puttick’s brand and reputation skyrocket. 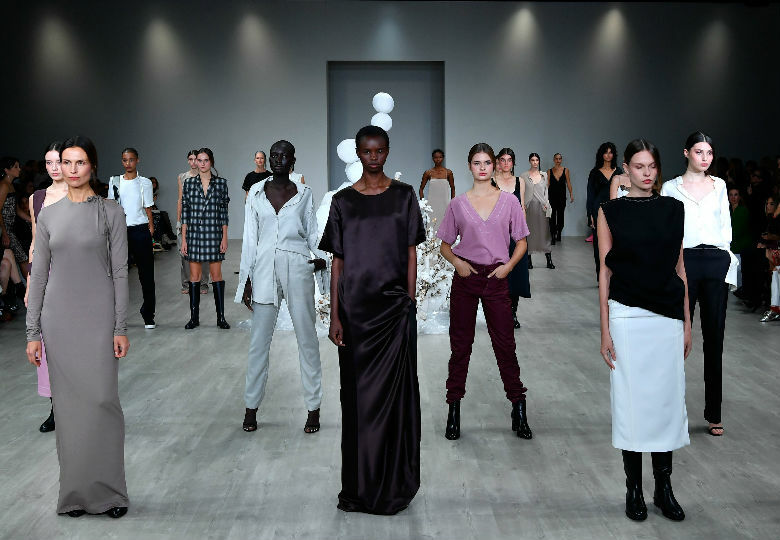 Puttick ended his show by having 'ordinary women' – some older than standard models, and others slightly curvier than runways are used to showcasing – walk the catwalk. It was a moment of both defiance and a celebration of what it truly meant to be female. 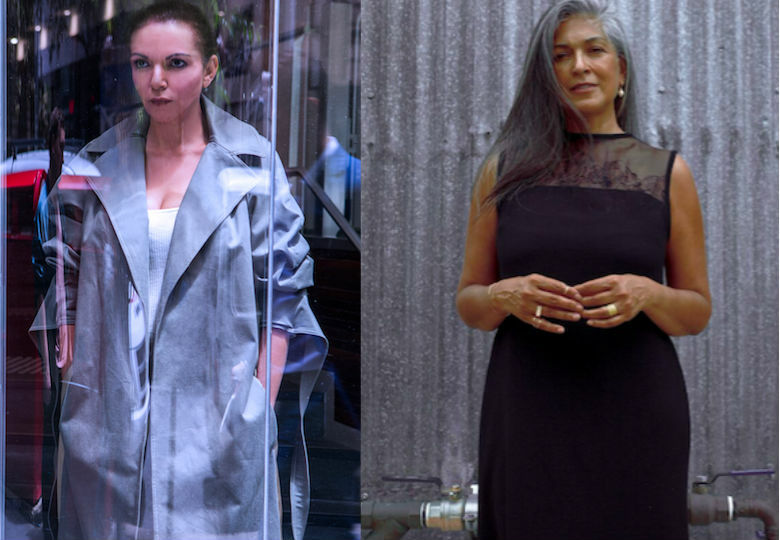 Puttick's 'remarkable women' include federal MP Dr Anne Aly (left) and renowned Australian designer Nadine Bush (right). Among his renegade runway choices, Puttick is also showcasing his 'remarkable women' in a photo series on his website. "With the campaign we like to highlight women who have inspired myself or who have inspired the brand," he said. "We want to highlight something about them which isn’t about the way they look." Among Puttick's 'remarkable women' include federal MP Dr Anne Aly and renowned Australian designer Nadine Bush. "The campaign really is a way for us to solidify out ethos and to keep our audience engaged in ways which are different to just the clothes," Puttick said.